Sshhh….don’t say it loud but accessibility is a dirty word. No one wants to talk about it. The subject of inclusive digital resources raises eyebrows and elicits sighs. The unspoken thought ‘here she goes again’ hangs palpably in the air. This week I’ve been digging the digital dirt. Issues are coming to the surface, into the light and do you know what? People are listening. Something has changed. The time might have come. IT Matters. Let’s talk digital. The damage caused to digital democracy by Microsoft’s Graphical User Interface (GUI) and hand-operated mouse has disenfranchised millions. Attention to inclusion hasn’t kept up. When the platforms of the public sphere are digital, without the means of participation you are excluded. I know because it happened to me. I have Uvietis; a genetic condition with treatment which involves blurred vision. This is how I learned about inaccessibility and became involved with a local organisation for people with sight loss. Dodgy eyes showed me the reality of digital exclusion, and the sadness of realising although there are a few who really care, too few is not enough to make a difference. Government changes in the DSA (Disabled Students Allowance); teaching resources will need to be reviewed to ensure they fill gaps created by loss of funds for technology to support learning. Internationalisation; language barriers can be reduced by providing teaching materials online, in particular lecture content which can be revisited and revised. Flipping the classroom; providing lecture content for students to access online and using contact time for more interactive teaching activities, supports inspirational teaching and the student engagement agenda. Digitisation; not always fully accessible and raising awareness of restrictions imposed by Publishers is creating interest in how other Libraries are dealing with this. EDEU; the new unit’s plans for integrating digital confidence and capabilities into Teacher Education and CPD programmes calls for a framework which can and should be inclusive in design and delivery. Blackboard; plans for introducing baseline templates (e.g. Starter, Intermediate and aspirational Gold) could and should include attention to accessibility. Corporate Identity; opportunity for UL to become known as a digitally confident and inclusive university. There is more. 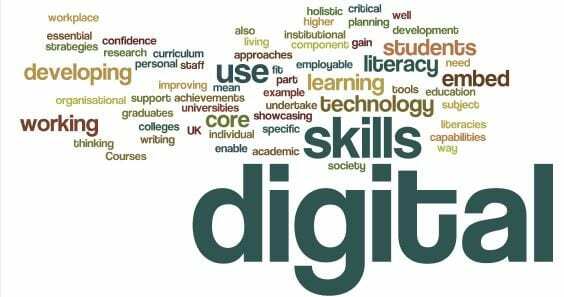 This summer I coordinated institutional wide responses to the UCISA Digital Capabilities survey which reinforced – like the UCISA 2014 report on Technology Enhanced Learning – lack of time and resources as the key barrier to developing digital practice. This is where EDEU can help. EDEU has a new educational development and enhancement team By the end of the year there will be six of us to talk to about digital divides and exclusions. We can scaffold and support; help with developing alternative formats for multimedia and ensure accessible text and images. Get in touch. Let us know you’re interested in using virtual learning environments to enhance your teaching. We are EDEU and inclusion is our middle name. I’ve been digging in the digital dirt and coming up with clean hands. It feels good to have people listening. The times they are a changing – indeed.